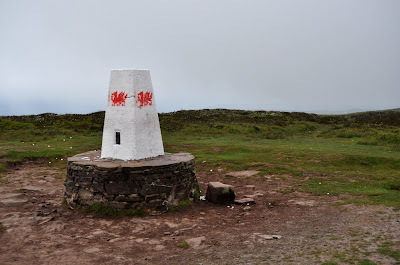 It has been a fairly long time since my last visit to a high point, I have recently tried to visit a high point but this had to be cancelled at the last minute due to no fault of my own, as you can imagine I have been itching to get out there and get a high point done, especially after having a trip cancelled, I was ready for an adventure. Black mountain lies right on the western edge of Herefordshire on the border of Monmouthshire and on the eastern edge of the Brecon Beacons. I left home early in the morning and drove the 169 mile routh along the M27, M3, A34, M4, then various roads past Cirencester, stopping off at Gloucester for some lunch, then past Ross on Wye and through Hay on Wye arriving at the Lower Porthamel campsite near Talgarth not long after lunch. Lower Porthamel was to be my base for 2 nights and it was a beautiful place to stay, it has 2 camping areas, the open field which has amazing views of the rolling countryside and mountains, then there is the lower Orchard, a smaller (but still spacious) area next to the farm house and duck pond. As I was the only person staying on the campsite I had a free choice of where to set up camp so I chose the Lower Orchard as it was closer to the toilets. Once I had set up camp and had a cup of tea it was time to tackle Black mountain, it was roughly a 30 minute drive to the parking spot for Black mountain and most of this was along tiny country roads. 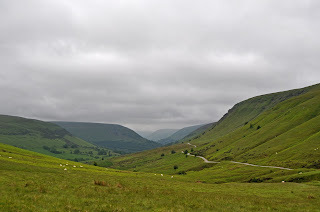 The parking spot was on the Gospel Pass, a road which winds through the mountains. I parked up and set off, the weather was cloudy and a little windy but not too cold, It looked like it would rain so I had my water proofs with me. 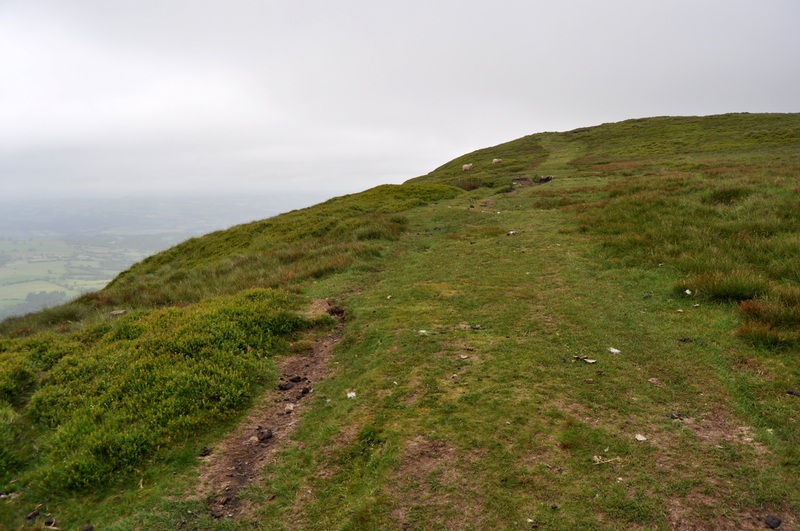 After leaving my car I almost immediately started climbing a steep hill, I climbed this for about 15 mins and it was the steepest part of the walk for me quickly getting me to a higher altitude where the views became amazing, I could see for miles in a north westerly direction over Hay on Wye and beyond. 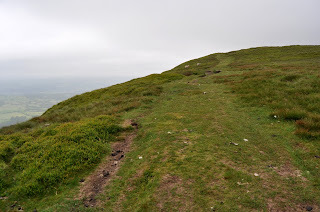 once at the top of the steep path I continued along in a straight northerly line for a while coming to a Trigpoint on the path, this marked the summit of Hay Bluff and my first encounter with the Offa's Dyke Path. The Offa's Dyke Path is a 176 mile path running along the ancient Offa's Dyke and along the border of England and Wales from Sedbury near Chepstow up to Prestatyn on the North Coast of Wales, From the Trigpoint I joined the Offa's Dyke Path and I headed off in an easterly direction, up until now all of my walk had been in the county of Powys in Wales but I was now walking along the Welsh Border, and along the border of Herefordshire. 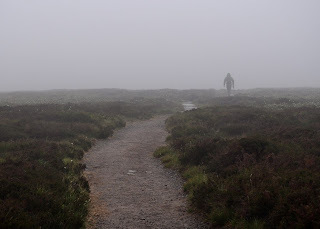 It was around this time that the cloud began to thicken, not above me but all around be, the Path was very easy to follow so not a problem but I couldn't really see too far ahead, just the odd glimpse when the cloud thinned a little. 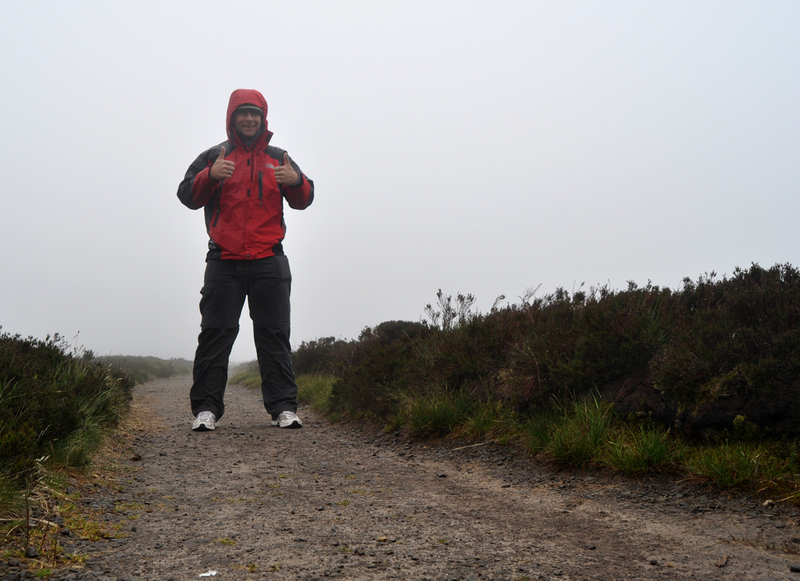 The path was slightly raised and on either side there were pools and marshes, it was like being in a Tolkien book. 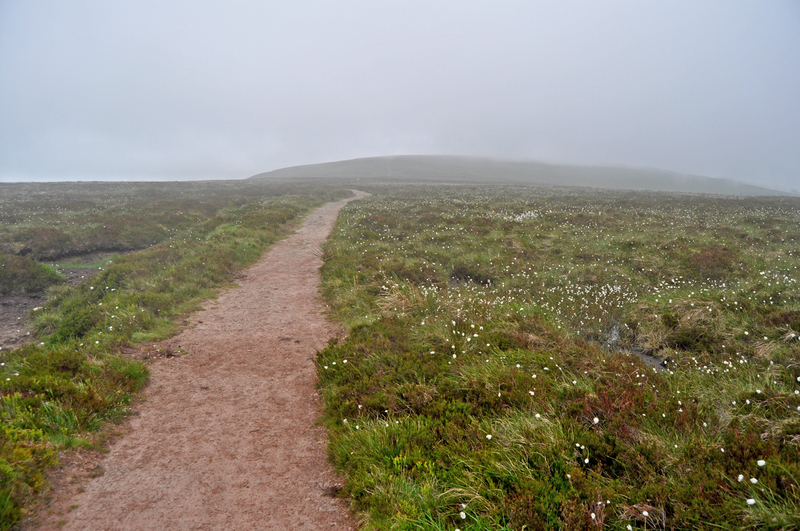 Soon I came to another steep climb and a group of horses blocking the path, I walked around them and climbed to the top of this next steep path, this was now Black Mountain, The summit of the mountain was another 5 mins walk along the path and it was right at the summit I passed the one and only other walker of the day, he appeared like a ghost out of the mist ahead of me, we said hello and he disappeared into the mist behind me. 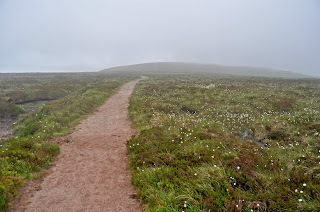 The summit was a fairly flat area, a few marshy pools and lots of little white flowers, I sat here and had some sandwiches and a cup of tea then I headed back to my car along the same route. The journey back was uneventful, the horses had all gone and were now replaced with sheep, I stopped off to take some photos and to do a timelapse of the amazing views, then it was back down the steep hill to my car parked on the Gospel Path. 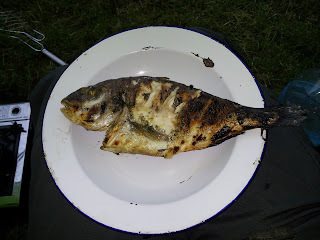 Back at the Campsite I enjoyed my dinner of barbecued sea bream and pasta then I was off to bed to be ready for my next climb tomorrow. 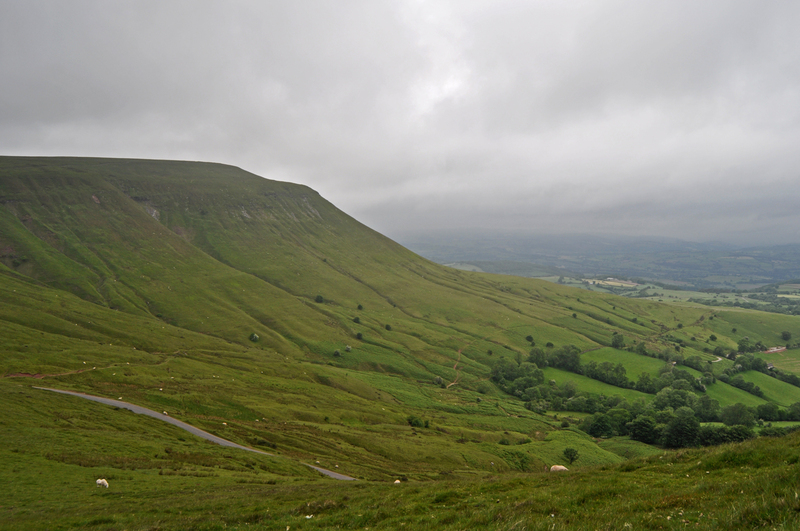 Hay Bluff is in the Black Mountains, the Black Mountain is at the far southwest of the Brecon Beacons National Park (about 40 miles SW as the crow flies).